You are not to give thanks for the pain and anguish grief brought but give thanks in your grief. The grief monster is scared of you giving thanks because that proves you are not stuck in the muck, which is where he wants you. There is a lot in your life for you to be thankful for, even while grieving. In the beginning of your grief journey, you can be thankful for the people who helped you plan the funeral, all the lasagna (the most common casserole brought to people), and all the people who took the time to send you sympathy cards. Open your eyes and you will see a multitude of items. One of the way to keep track of your blessings is with a gratitude journal. Write down 3 things in the morning and / or 3 things before bedtime. This way you start and end your day on a positive note. I’ve also read in order to challenge yourself more, write down 5 or 10 people, places, or things in your gratitude journal every morning and night. The night time is to focus on 5 things that happened during the day for which you give thanks. The amount does not matter, what matters is that you are writing down your thanksgiving. Writing makes it more personal, more tangible and more appreciated. My favorite way to keep track of my blessing is to write each one on a slip of paper and put it in a clear vase. Keep the vase on the dining room table or other highly visible place and you will see your blessing grow throughout the year. I started this practice this year. Then on December 31st, empty the vase and read what your wrote during the year. Reading them will jog your memory and prove just how much you have for which to give thanks. I thank my friend Ferree Hardy at Widow’s Christian Place for writing about this idea last year. The slips of paper can then put them in a keepsake box, paste them in a journal or make them into confetti. At midnight, start the process all over again for the new year. Yes, one day you will give thanks for your grief because God used something hideous to grow you and bring some good out of your circumstance. He brought me through mine and equipped me to help others through this blog and being a GriefShare Co-Facilitator for 6 years. Resource: Grategy.com – A business my friend Lisa Ryan built on and about gratitude. Sign up at the bottom of her page to join me and others who receive her weekly gratitude email. You can also check out her books here and her Kindle books 52 Weeks of Gratitude: Transformation by Appreciation ($2.99 as of 10/12/15) and 52 More Weeks of Gratitude: Thank Your Way to Happiness ($2.99 as of 10/12/15) on Amazon. (All links are non-affiliate links) I have both books along with a couple others. Michele Kearns is the founder and HUG© (Hope Unites Globally) Award-Winner of JoyReturns. She encourages widows and educates society about grief and life as a widow by sharing her widowhood adventures. A graduate of Kent State University with a degree in communications, she has used her skills in the banking, collections, outdoor products and social media industries. Michele is a bookworm, lover of golden retrievers and an amateur photographer. You can see more of photography at OgleOhio.com, where she is running the series 31 Days of Autumn in Ohio – because running a 31 Day series on one blog is not enough insanity. Here are 3 more books for your summer reading pleasure. Lisa Ryan is a local author, speaker and most importantly – my friend. She is one of the wonderful people I have met since Joe’s passing and I am grateful to God for putting her in my life. Thank them for inspiring you to get out of your comfort zone and grow. “God gave you a gift of 86,400 seconds today. Have you used one to say thank you? You get 100 more tips just like this one and maybe those tips will give you ideas for creating your own ways to say thank you. Download a copy and start planning what tips you will use. Just think of the joy you will bring the people in your life. Remember, you reap what you sow in this life so start spreading the gratitude. Lisa’s other books are also available on Amazon and you can sign learn more about Lisa at Grategy.com. Here are two romance novels perfect reading for the beach or the hammock as they are light and easy to read. I finished Accidentally Married in one day and Beneath the Patchwork Moon in about 2 or 3 days. Beneath the Patchwork Moon (A Hope Springs Novel) – Allison Kent. Luna, the main character, is turning property, that belonged to her best friend’s family, into a non-profit center. Sierra, her best friend, passed away in a car accident at eighteen. The only hiccup is Angelo, Sierra’s brother, returning home to Hope Springs, TX, demanding answers to questions about the crash. Luna is the only one with the answers. Allison’s writing has me dreaming of moving to a small town and opening a cafe or other small business in an attempt to rebuild my life. Accidentally Married – Victorine E. Lieske. Madison, an actress returns home after trying to make it in Hollywood. She applies for what she thinks is a job as an executive assistant to CEO Jared Jameson, only to find out she is playing the part of his girlfriend at a family dinner. Life gets very interesting for her and Jared once she opens her mouth at the family dinner. Thanks to Char at Joy In The Moments for suggesting this book. Our pastor threw down a challenge to those of us at church yesterday and I thought it was a good one to mention on the blog. Read the book of Psalms between now and Labor Day. This means reading 3 a day. There will be days you feel like reading more and some when you feel like reading less. You will find more Psalms of lament than thanksgiving. (I first learned this in Griefshare.) David and others who wrote the Psalms had days where they cried out anger and frustration too. Human emotions have not changed since Biblical days. We think of the people from the Bible as perfect – they were not. The only exception is Jesus. Will you Join me in reading the Psalms this summer? I bet we will learn a thing or two. May they bring you comfort and joy. Always wanted to walk the red carpet? Here is your chance. On October 30th, my friend, Lisa Ryan, is hosting a Red Carpet premiere of the new film, “The Gratitude Experiment” at the historic Cedar-Lee Theater. Tickets start at just $25.00 – a great price for an inspirational and fun evening. (After all, where else can you get on the red carpet for just $25???) Please support this event and you’ll also be supporting “The Tour of Good Cheer,” an organization that has been helping Cleveland’s needy children and the homeless since 1984. Visit www.gratitudeexperimentcleveland.com for tickets and full details. So walk the red carpet on October 30th with Lisa and other movers and shakers from Cleveland, OH. You are sure to have a wonderful time. Now if only we can get other cities to start their own THANKS award what wonderful world this would be. In addition to being a loan officer, I also do some freelance writing/editing for Jennasis and Associates. The company does not have a traditional “brick and mortar” location instead is staffed with a diverse team of associates who provide numerous business services virtually. (e.g., social media, web design, bookkeeping, and creative writing) Jennifer Chernisky, owner and president, hired me last year. Last week the redesigned website was launched. Everything from the design to the writing was team effort. Sue Rahn’s website design is amazing. The writing through out the site is a compilation of words written by Sue, Jennifer, me and maybe a few other team members. I took our words and added, deleted, and rearranged them. I am not sure there is a page that contains words written by one person. In addition to the working on the website, I’ve also edited blog posts for a company in the automobile industry, a not-for-profit and a motivational speaker. Thank you Jennifer for taking a chance and hiring me. I’ve enjoyed working on the website and editing blog posts for various clients. Thank you Jeff Nischwitz for recommending me. This weekend was going to a “Gooseberry Patch” weekend in honor of the release of “Hometown Christmas: Remember Christmas at home with our newest collection of festive recipes, merrymaking tips and warm holiday memories (Seasonal Cookbook Collection)[Hardcover]. As part of the challenge, you can list 5 things per day you are grateful for so here is what I am grateful for today. possessed compassion for their fellow man; so much so they would search a burning building for trapped people. I am thankful for the medical personnel in the field and hospital who treated the wounded. I am thankful for the police who do whatever they need to do in these circumstances. I am thankful for the companies who make the equipment used by firefighters. I am thankful for my brother-in-law (a fire chief) and paternal grandfather (a volunteer fire fighter) and for their years of service. Thank you to firefighters and police for keeping all the hometowns in America safe. 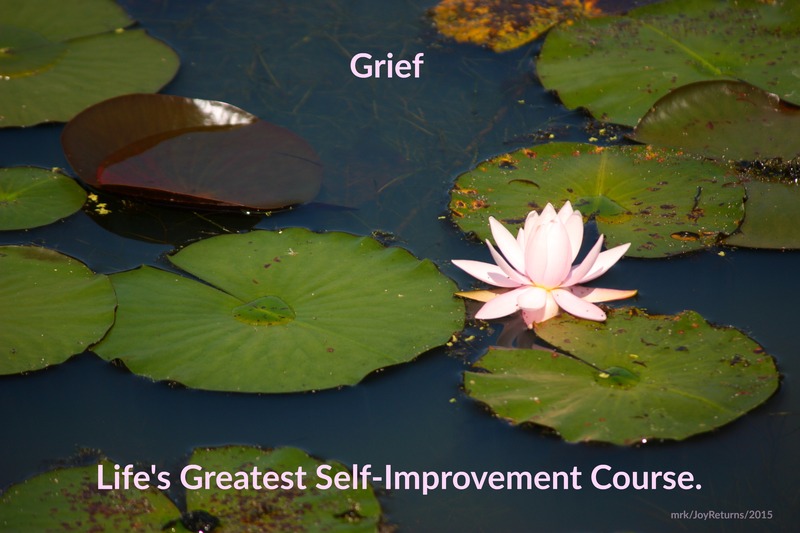 What if 30 days from now you were experiencing less grief? What would life look and feel like if your heart was filled with more gratitude? Well that is the idea behind Lisa Ryan’s “5 Thank-You’s A Day 30 Day Challenge” – to fill your heart and consequently your life with more gratitude. Lisa is running the challenge again this year starting June 1st and I will be taking it. Because developing an attitude of gratitude take practice and everyone needs a refresher course from time to time. Meditate on gratitude for 5 minutes. See it is not hard. lisa@grategy dot com (spelled out to avoid spammers). Here is the link to Lisa’s blog where you can sign up for weekly gratitude thoughts and learn more about her. Imagine how 30 days of focusing on gratitude will shift your thinking and help you on your journey through whatever nasty life situation you are experiencing. If you are not facing a nasty life event, just think how well prepared you will be when one comes your way. So who will join me in taking the challenge? Most of you know I have been participating in Lisa Ryan’s “5 Thank You’s A Day 30 Day Challenge” and hopefully some of you took the challenge too. Well now that it is over, I wanted to let you know the end result. The challenge got me to focus more on me and my relationship with God. Listening to one of the Christian music channels on TV. Spending more time in prayer thanking God for all the blessings he has bestowed on my life. Over all I feel calmer, more positive and more centered then at any other time in my life. Now the challenge is to keep up the work I have been doing plus take on a new challenge. Eighteen weeks from today is November 6th, a.k.a Election Day. So for the next 18 Tuesdays we will explore the Bible passages Pastor Don used as the basis of his sermon: Romans 12:1-2 and 9-21. The verses from Romans indicate how we are to act every day of every year, it’s just during election times it is even harder and sometimes practically impossible because this country is politically divided. So if you are up to it, let’s get this party started! 12 Therefore, I urge you, brothers and sisters, in view of God’s mercy, to offer your bodies as a living sacrifice, holy and pleasing to God—this is your true and proper worship. 2 Do not conform to the pattern of this world, but be transformed by the renewing of your mind. Then you will be able to test and approve what God’s will is —his good, pleasing and perfect will. Turn your self completely over to God and do not let the things of this life rule your heart. Instead let God do some remodeling on you this week in preparation for the coming 18 weeks. Pray that he will open your heart to what the scriptures say and give you the courage, strength and fortitude to do what is asked of you. Trust me, you are going to need it as this challenge is only going to get harder. In fact it just might make traveling through a grief journey fun and easy. I will NOT be taking this time to explain my political views. So who will join me in this challenge?